Below is a selection of Spirit Rock programs recorded in our Community Meditation Center. Our meditation programs are designed to open doors to the Dharma and provide opportunities for cultivating a steady meditation practice. These offerings are appropriate for beginning and experienced practitioners alike. 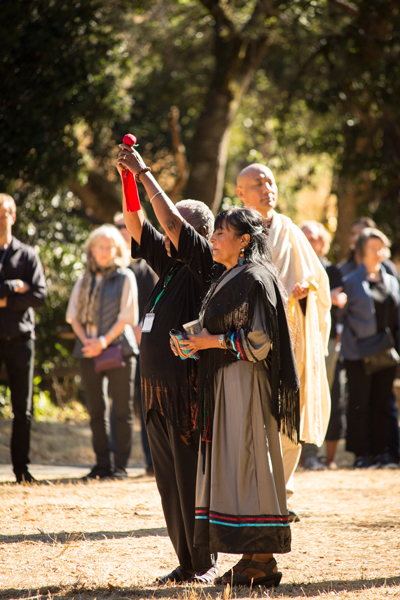 In conjunction with the Global Climate Action Summit in San Francisco, September 12-14, 2018, Spirit Rock was honored to host the community for a special day of teachings. We hope to inspire and motivate all who came through presentations, poetry, and music. Together, we will explore how our practice can continue to lead to greater consciousness and heal our planet in the face of climate change. All proceeds support the Spirit Rock Scholarship Fund. Joseph Goldstein, one of the foremost Insight Meditation teachers in the West, offers us wisdom from his 50+ years of dharma practice. This poignant conversation with Michelle Latvala, Spirit Rock Executive Director, and the Spirit Rock community encapsulates the essence of the Buddha’s teachings with clarity, ease, humor, and humility. Joseph Goldstein is a co-founder and guiding teacher of Insight Meditation Society (IMS) in Barre, Massachusetts. He has been teaching Vipassana and metta retreats worldwide since 1974, and in 1989 helped establish the Barre Center for Buddhist Studies. He is the author of A Heart Full of Peace, One Dharma, Insight Meditation, The Experience of Insight, and co-author (with Jack Kornfield) of Seeking the Heart of Wisdom. Jack Kornfield welcomes special guests, who lead us on an exploration of the intersection of psychedelics and the Buddhist path. Special guests include: Stanislav Grof, Rick Doblin, Ralph Metzner, Aurianna Joy, Don Lattin, James Fadiman, Erik Davis, Alex Grey, Allyson Grey, Michael Stone and more. Guest speakers will address such topics such as psychedelic medicine, philosophical & existential exploration, current findings of the scientific community as well as a more nuanced and slightly critical view of the place of psychedelics in healing the mind from suffering. This program is a celebration of the new edition of Zig Zag Zen: Buddhism and Psychedelics, edited by Allan Badiner and Alex Grey.